Why not support the gadget craze while doing something good for the environment? You can find endless gadgets online that are environmentally friendly that also do their part to help save on energy! Envirogadget is a great online source for all of your nerdy, green gadget needs. Here are some fun office gadgets to take to work. 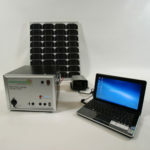 This is a solar powered work station where you can plug in your computer, phone, lamp and other electrical devices that can be powered by the sun. Note: Positioning the station near a window with an excessive amount of available sunlight is vital to the proper function of this solar power station. Decorate your office with recyclable circuit photo frames made from recycled motherboards that are environmentally friendly to Mother Earth. If you’re technologically savvy, these frames will highlight the “geek” in you while adding to your environmentally friendly side. Take your coffee to work and recharge your energy all day long with an environmentally friendly and green, recycled coffee mug. This mug is 100% recycled from food grade plastic and helps you help the environment without buying paper and Styrofoam cups everyday. If a Solar Power Station isn’t in your budget or your preference for office gadgets, consider buying an energy-saving Powerbar to use at work for you PC. This power strip is connected to a motion sensor and after 10 minutes of no activity, will automatically cut itself and up to 4 attached devices off from using energy. What makes these ink cartridges eco-friendly is that they are made out of cardboard and therefore, do not need to be shipped in excessive packaging. These cartridges are designed for Epson 79 printers and are made with biodegradable cardboard and packaging products. Almost everyone has a desk lamp at work or even home. Imagine having one that was is friendly to the environment – now you can. This lamp uses a 13 watt light bulb and can save up to 25% of electricity than a typical desk lamp. With modern technology, being environmentally friendly can be fun and tech savvy too! Do your part to help Mother Earth – if you’re going to buy office supplies and gadgets, make sure they’re energy efficient and environmentally friendly. Awesome! These gadgets would be so useful for making offices green (including healthcare office). These only prove that development of technology may really help make environment green and save the Earth. Today, people are becoming aware of practicing green because of global warming. It is good that they’re making actions to reduce carbon emission into the environment. Nice to know these eco-friendly gadgets for offices! I’m glad that development of technology may benefit our environment. Nowadays, there are lots of people who are aware about saving the Earth. That’s why some of us practice using green products. Going green would definitely help your office look cool and comfortable. If you’re planning to make your home or office green, it is advisable to ask the help and opinion of an expert.